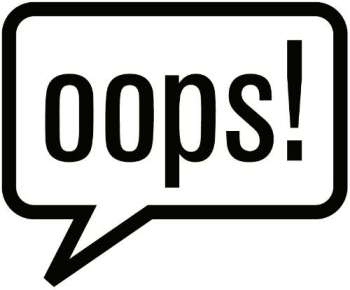 8 Biggest Social Media Mistakes Lawyers Make – Web Presence Esq. As more and more lawyers begin to accept that Social Media is a part of the business development landscape (hey, even the ABA is onto it! ), we are noticing a few mistakes that many law firms are making over and over again. Whether it is the attorneys themselves or someone they have hired to manage their Social Networking, the end game is the same: a less than effective Social Media campaign. We understand. Monitoring Facebook, LinkedIn, Google+, and whatever else they come up with next, is time-consuming. Additionally, most practicing attorneys do not have the time to focus on creating new and unique content for the various Social Networks and be social online. Twitter can be especially difficult — a lawyer who writes in 140 characters or less? We’re sure there’s a joke about that somewhere… But along with content creation, there are certain rules one has to follow when engaging online. This is where outsourcing to a non-attorney marketer can get tricky. Hey, we’re obviously all for outsourcing, but we’re also attorneys who have practiced and understand the game. If you are a lawyer or law firm considering a Social Media presence — and this includes a blog — or if you already have one, make sure you are not committing one of these common Social Media mistakes. One area where state bars leave very little wriggle room for error is in attorney-client confidentiality. Social Networking makes it easier for a careless slip of the tongue to land you in hot water. Like we’ve stated in previous posts, not only is talking about your clients, opposing counsel, or an ongoing case poor form, it could open you and your firm up to serious liability. Make sure that you have a Social Media policy that clearly defines what your attorneys and employees can or cannot state online. Remember: the other side is on the prowl for the littlest slip up. Don’t accidentally give them anything to discredit your good name. As we stated above, the ABA has commented on Social Media practices for lawyers (read our post on the ethical pitfalls to avoid on Social Media here), which means it sees what many lawyers are seeing: Social Media can be considered advertising. Lawyers should refrain from using client information to help get social campaigns running without the express consent of clients. Although some cases makes for great publicity, all attorneys should get written permission from current or prior clients to release any information about those cases. Any professional can fall victim to the “Me Me Me Complex” and it doesn’t work in any industry. While providing useful, informative content is a must, don’t just post information about yourself, your website, your clients, or your services. Link to businesses or stories that are relevant to your clients and target audience. And of course, provide valuable information about other topics to build yourself as an authority. An extension of #3, this one is often forgotten: Social Media is Social. Work on building relationships and understand that, just as in the real world, this takes time. Engage with your followers, respond to tweets, Facebook comments, and other feedback. Show them that a real person exists behind the lawyer, and that person is someone they would like to work with. You shouldn’t only post about yourself / your practice and you also shouldn’t forget to post at all. Create a schedule and stick to it. Your readers/followers/prospective clients need to know that they can rely on you. If, at any time, you need to take a break from the tweeting or blogging, let your network know how long you’ll be gone and how they can contact you in the meantime. Facebook and Twitter are great for communicating with potential clients, but if your target audience is on LinkedIn you are wasting time. Figure out where your potential clients or referral sources are and be there. Social Media has it’s own etiquette, which lawyers would be wise to learn before jumping head first into the online world. When tweeting, always give credit through a retweet (RT) or via. When blogging, don’t copy someone else’s post. If you must, give proper credit to the author. Duplicative content works against you in terms of search engine optimization (SEO) and it’s bad Social Media karma. We understand, all of this can feel overwhelming (that’s why we do what we do — takes the pressure of you! ), but you know that you can’t avoid it any longer. Potential clients, referral sources, and business opportunities are looking for you on your website, Twitter, Facebook, YouTube, Google+, and LinkedIn. You just can’t not take advantage of the opportunity to grow your practice! A properly crafted Social Media presence will expand your network and build your good name. As former practicing attorneys turned Social Media professionals, WebPresence, Esq. understands the business of law and the importance of establishing a blemish-free online reputation.